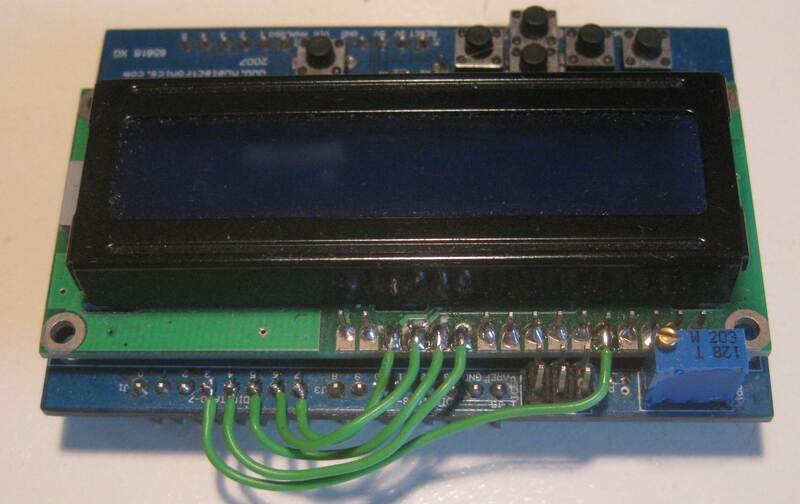 I have an LCD shield from nuelectronics. This is a reasonably priced shield with basic capabilities. I made some LCD mods to give some additional possibilities. I have modded the library and made a small hardware change to allow writing to the LCD so that custom characters could be used. I have since migrated to serial LCD which is rather more convenient because of the fewer pin usage. The pins that are used by default is PB0 which is Digital8 and PB1 which is digital9 for RS and E respectively. I desoldered the R7 zero resistance resistor and wired it up to PD3 wich is digital3 to have control over the read/write function. Here is the whole library with example program. The video shows the possibilities. A simple text display, large numbers, custom chracters and a bargraph.